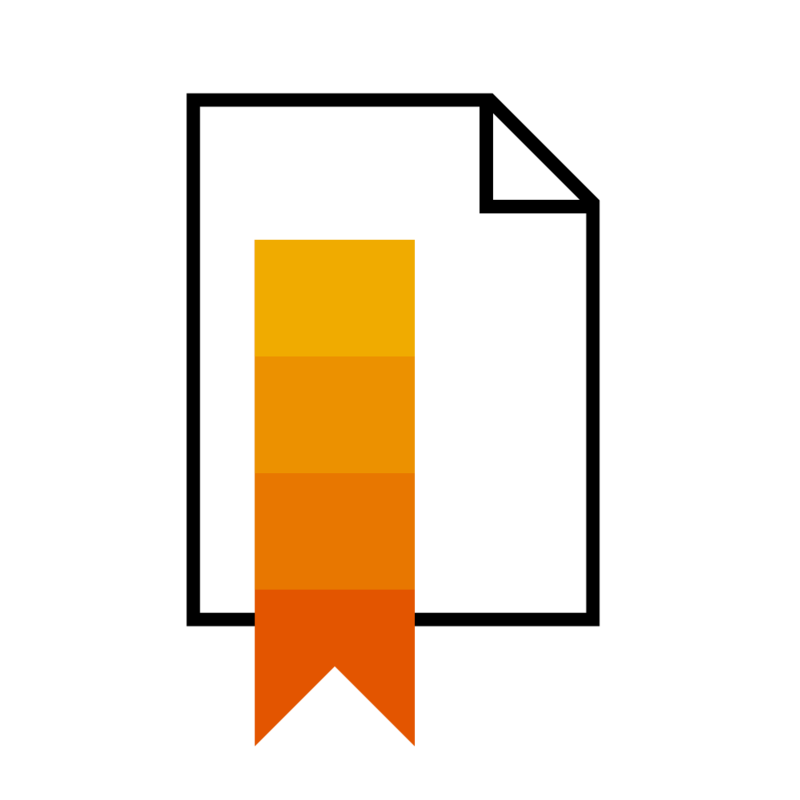 Interested in a career as SAP HANA technology consultant? 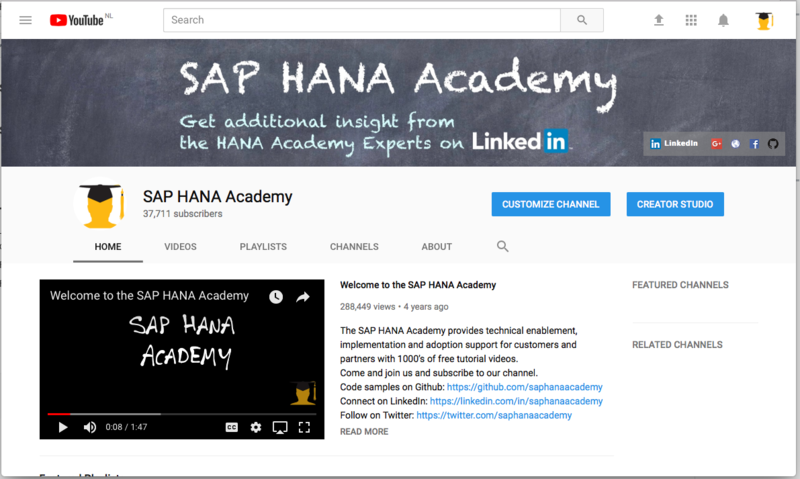 In this blog, I will provide the information you need to help you prepare for the SAP Certified Technology Associate – SAP HANA 2.0 certification exam, C_HANATEC_13. This exam verifies that you have the required knowledge to install SAP HANA in a tailored data center (TDI) environment. Both have 80 questions, but the cut score has gone up a bit from 60 to 65% for the latest edition, so you now need to answer 52 questions correctly (up from 48). The certification version number used to follow the SAP HANA SPS release, e.g. TEC_12 = SPS 12, but as SPS 13 entered the market as SAP HANA 2.0, this is no longer the case. At the time of writing, the certification programs for SPS 10 and earlier have expired. SAP Education provides a number of sample questions for each exam (10 for C_HANATEC_13) with answers to help you assess your readiness for the exam. However, there is no explanation why certain answers are correct and others incorrect. The topic areas have changed slightly comparing TEC12 (left) with TEC13 (right) although most categories still have an 8%-12% weight (6-10 questions). New in the exam is the topic Multitenant Database Containers (MDC) and Operations of SAP HANA has now been renamed to Database Administration Tools and Tasks. Monitoring and Troubleshooting, which counted for about a quarter of the weight for TEC12, now has been consolidated into a single topic area and the High Availability & Disaster Tolerance topic has received a few more questions. Training participation is not a requirement. However, because of the direct relation of the exam with the training, participation is certainly recommended. If you can only attend one training, make it HA200. 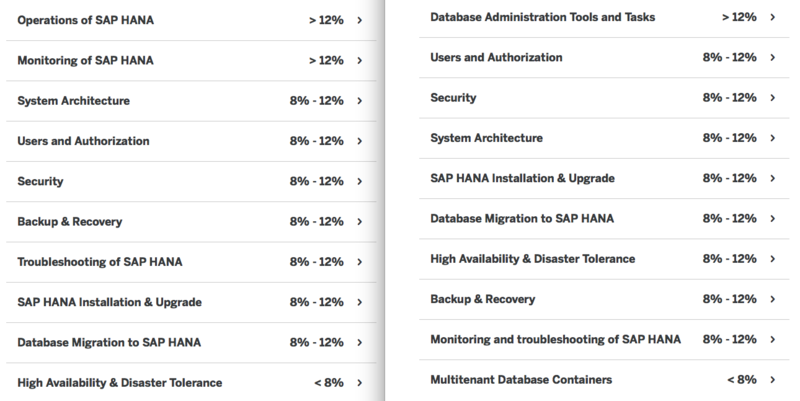 Additional resources as preparation for the exam are publicly available (at no charge) on the SAP HANA Platform section on the SAP Help Portal. See the deep-dive blogs for references. To help you prepare for the exam, we have created a dedicated playlist which contains all the videos relevant for the exam. On the deep-dives for the topic areas, the videos are embedded with references to documentation or blogs. Is there any need for someone who is certified in C_HANATEC_12 to write C_HANATEC_13 for now? At the time of writing, only the certification programs for SPS 10 and earlier have expired, so C_HANATEC_12 should still be valid for another 2 years, or so. I would expect an upgrade to be required around the time for C_HANATEC_16 (HANA 2.0 SPS 05), assuming that the small print and release schedule remains consistent. Thank you for this blog. What is the status of C_HANATEC_13 ? When is it going to expire? As per training.sap.com, C_HANATEC_13 is expiring on Dec 2018 while C_HANATEC_12 and C_HANATEC_14 does not show any expiration date in training.sap.com. SAP credential manager does not show any expiration on C_HANATEC_13? I do not have any inside information about exam expirations.